Protect data in use with the public preview of Azure confidential computing - Years of work with our silicon vendors have allowed us to bring application isolation technology to hardware in our datacenters to support this new VM family. While these virtual machines may ‘look and feel’ like standard VM sizes from the control plane, they are backed by hardware-based Trusted Execution Environments (TEEs), specifically the latest generation of Intel Xeon Processors with Intel SGX technology. You can now build, deploy, and run applications that protect data confidentiality and integrity in the cloud. Azure Friday | Introducing new Azure API Management capabilities - Miao Jiang joins Scott Hanselman discuss the API economy and how companies must master the challenges inherent in building, maintaining, managing, and exposing APIs to participate. That's where Azure API Management can help. Azure API Management is a solution for publishing APIs to external and internal consumers. With Azure API Management, you can take any backend system, hosted anywhere, and expose it through a modern API gateway. The Azure Podcast | Episode 250 - SignalR Service - Microsoft Developer Advocate Anthony Chu gives us the details on the newly released Azure SignalR Service that allows web and mobile applications to display real-time data with minimal effort. Re-define analytics with Azure SQL Data Warehouse Gen2 tier now generally available - Azure SQL Data Warehouse Compute Optimized Gen2 tier for government customers is now available in the US Gov Arizona and US Gov Texas regions. With Azure Government, only US federal, state, local, and tribal governments and their partners have access to this dedicated instance that only screened US citizens operate. Customers can choose from six government-only datacenter regions, including two regions granted an Impact Level 5 Provisional Authorization. Moreover, Azure Government offers the most compliance certifications of any cloud provider. The IoT Show | Azure IoT Edge CLI tooling - If you are a developer who cannot live without command line tools and wants to work with Azure IoT Edge, we've got you covered with a new release of the iotedgedev tool. And who better than Jon Gallant to demo some of the many new features? The IoT Show | Azure Digital Twins Introduction - Here is an introduction to Azure Digital Twins, a new Azure service announced recently. What are Digital Twins? What is this new PaaS service about? Daniel Escapa tells us all on the IoT Show. Microsoft joins Open Invention Network to help protect Linux and open source - Microsoft is joining the Open Invention Network (“OIN”), a community dedicated to protecting Linux and other open source software programs from patent risk. We bring a valuable and deep portfolio of over 60,000 issued patents to OIN. We also hope that our decision to join will attract many other companies to OIN, making the license network even stronger for the benefit of the open source community. Azure Portal October update - This is the first post in a new monthly series that will cover what is new and updated in the Azure Portal and the Azure mobile app. The series will specifically cover the areas that affect the user experience and how it affects your daily work, but will not announce new services on Azure or bring you what’s new on specific Azure services. Improved governance experience with Ethereum Proof-of-Authority 1.2 - This update includes a number of features that improve user-experience, configuration, and deployment reliability: Governance DApp for admin management and validator delegation; WebSocket support to make it easy to subscribe to events directly or connect to external tools and applications; BlockScot block explorer; JIT VM access and Azure Backup support; VM SKU selection; more configuration options (starting block gas limit and block reseal time); and improved reliability. Supercharge your Azure Stream Analytics queries with C# code - Azure Stream Analytics (ASA) is Microsoft’s fully managed real-time analytics offering for complex event processing. It enables you to unlock valuable insights and gain a competitive advantage by harnessing the power of big data. With .NET Standard user-defined functions (UDF), you can invoke your own functions written in C# to extend the Stream Analytics query language. Use the Azure Stream Analytics tools for Visual Studio to get native C# authoring and debugging experience. AI Show | Spektacom “Power Bat" - Introducing ‘power bats’, an innovative sensor-powered sticker that measures the quality of a player’s shot by capturing data and analyzing impact characteristics through wireless sensor technology and cloud analytics. Creating a data stream from NIST manufacturing lab data – Part 1 - Learn how to extract actionable insights from your IoT data using this solution guide. In this first post of a multi-part series, the solution uses the data published by US National Institute of Standards and Technology (NIST) Smart Manufacturing Systems test bed that exposes the manufacturing lab’s data. 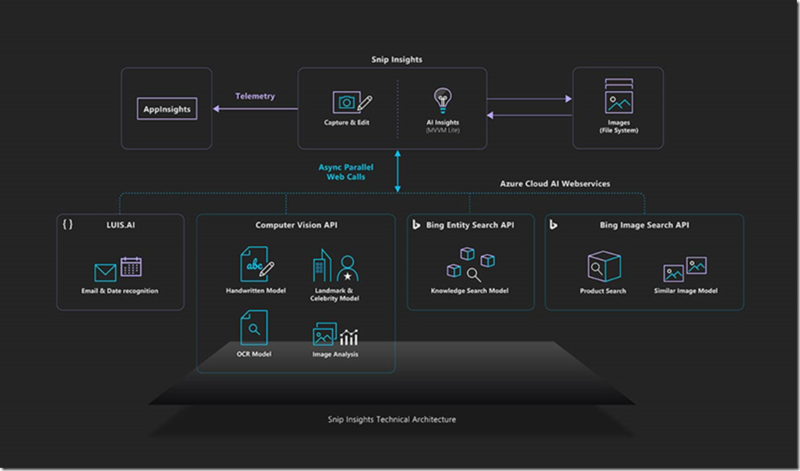 A fast, serverless, big data pipeline powered by a single Azure Function - A single Azure function is all it took to fully implement an end-to-end, real-time, mission critical data pipeline. And it was done with a serverless architecture. Serverless architectures simplify the building, deployment, and management of cloud scale applications. This post describes an Azure function and how it efficiently coordinated a data ingestion pipeline that processed over eight million transactions per day. Snip Insights – Cross-platform open source AI tool for intelligent screen capture - Snip Insights is an open source cross-platform AI tool for intelligent screen capture that enables cross-platform users to retrieve intelligent insights over a snip or screenshot. 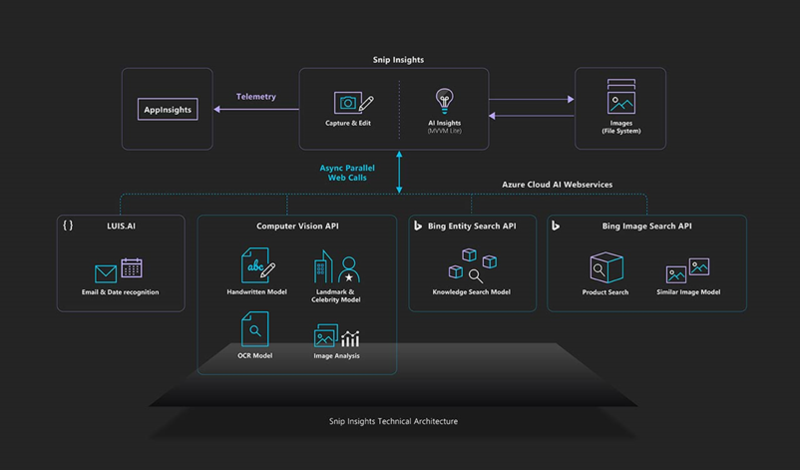 Snip Insights uses Microsoft Azure's Cognitive Services APIs to increase users' productivity by reducing the number of steps needed to gain intelligent insights. You can find the code, solution development process, and all other details on GitHub. Data models within Azure Analysis Services and Power BI - Dan Stillwell, Global Cloud Solution Architect, CSU, provides best practices based on key observations he has seen over the last several years, particularly when creating data semantic models in SQL Server Analysis Services, Azure Analysis Services, or Power BI. Identify your move-groups and target sizes for migration with Azure Migrate - Planning is crucial in any migration effort and Azure Migrate helps you plan your datacenter migration to Azure. It helps you discover your on-premises environment, create move-groups and assess the move groups for migration to Azure. Azure Pipelines YAML — uh, what do I type? 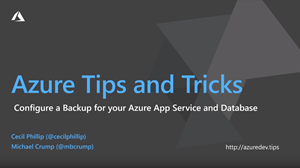 How to configure a backup for your Azure App Service - If you are a developer who cannot live without command line tools and wants to work with Azure IoT Edge, we've got you covered with a new release of the iotedgedev tool. And who better than Jon Gallant to demo some of the many new features? 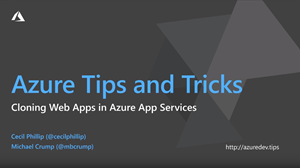 How to clone web apps using Azure App Services - Here is an introduction to Azure Digital Twins, a new Azure service announced recently. What are Digital Twins? What is this new PaaS service about? Daniel Escapa tells us all on the IoT Show. Enabling intelligent cloud and intelligent edge solutions for government - Julia White, Corporate Vice President, Microsoft Azure, shares how we’re building Azure cloud/edge capabilities aligned with a set of core principles for robust technology solutions, while uniquely delivering consistency across the cloud and the edge. The intelligent cloud and intelligent edge make it possible to provide consistent power to critical institutions like hospitals and schools, manage precious resources like energy, food and water, as well as helping government improve citizen services. Making HIPAA and HITRUST compliance easier - The Azure Security and Compliance Blueprint - HIPAA/HITRUST Health Data and AI offers a turn-key deployment of an Azure PaaS and IaaS solution to demonstrate how to ingest, store, analyze, interact, identity and Securely deploy solutions with health data while being able to meet industry compliance requirements. David Starr Principal Systems Architect, Microsoft Azure covers three core areas where the blueprint can help with compliance are cloud provider and client responsibilities, security threats, and regulatory compliance for healthcare organizations. Driving identity security in banking using biometric identification - Howard Bush Principal Program Manager, Banking and Capital Markets, outlines how combining biometric identification with artificial intelligence (AI) enables banks to take a new approach to verifying the digital identity of their prospects and customers. This post highlights Onfido, which provides a multi-factor identity verification service that helps accurately verify online users, uses a cloud-based risk assessment platform that leverages artificial intelligence to automate and scale traditionally human-based fraud expertise to derive identity assurance. The Azure DevOps Podcast | Dave McKinstry on Integrating Azure DevOps and the Culture of DevOps - Episode 005 - In this episode, Jeffrey and Dave talk about changes for Dave since the launch of Azure DevOps, what his journey has been like in the DevOps industry, his thoughts on companies looking to integrate Azure DevOps and move forward with automated deployment and reaching the continuous integration mark, how he thinks developers can move forward in terms of quality and Agile 101, and the modern skillset of what a developer and/or system engineer should look like in today’s DevOps environment. 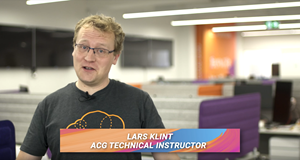 Azure This Week | 12 October 2018 - This time on Azure This Week, Lars talks about HDInsight Enterprise Security Package which is now generally available, Microsoft Graph data which can be analyzed using Azure Data Factory and also the public preview of Azure Database for MariaDB.